This Lovitt loft is located in a former automotive garage in Tribeca. 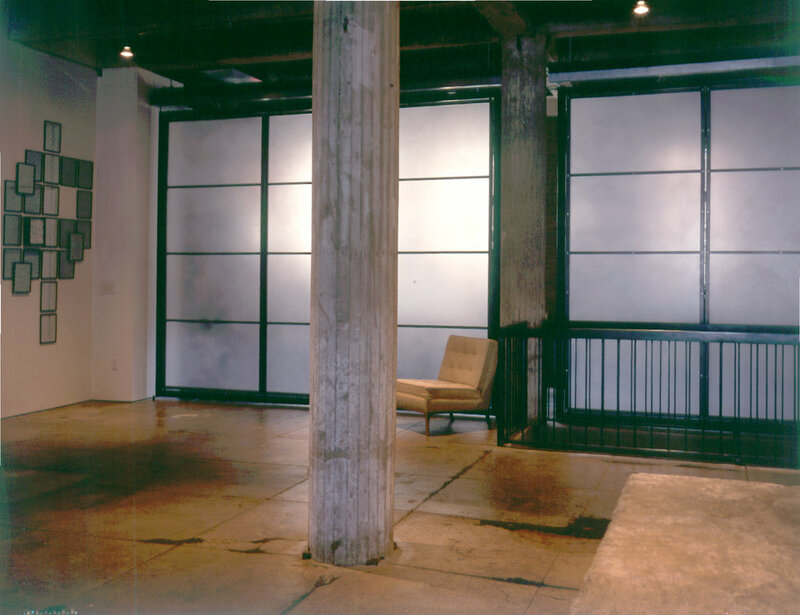 The program called for a live / work / commercial gallery space for a single artist. Additionally, the artist requested that the space be flexible in a way that permitted her to rent out the majority of the space to photographers while maintaining a private master bedroom at the rear of the ground floor space. A system of pivoting walls with ends attached to separate tracks placed at 90 degrees allows for a limitless number of angles and configurations where flexibility in plan is required. 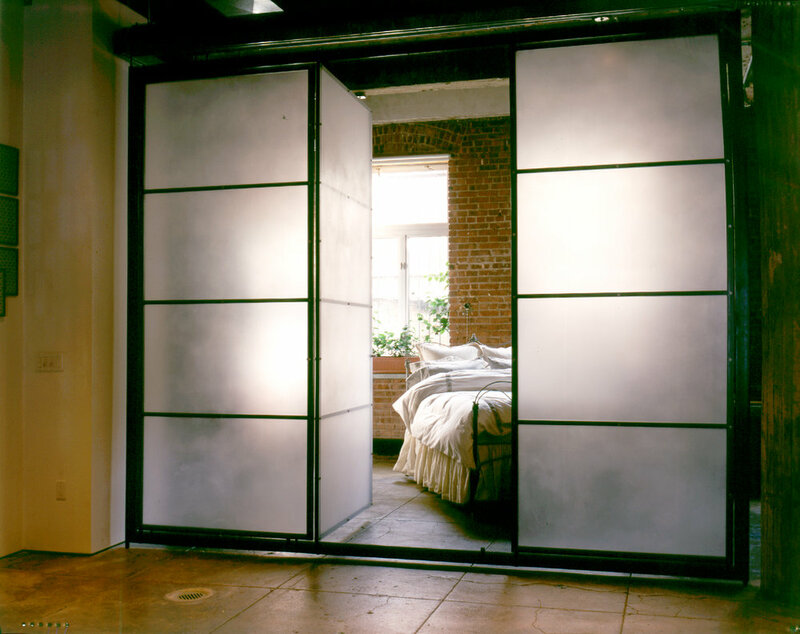 The moving walls at the rear of the space either function to close off the entire master bedroom suite or in their open position they function as passage doors into the bathroom and closet. 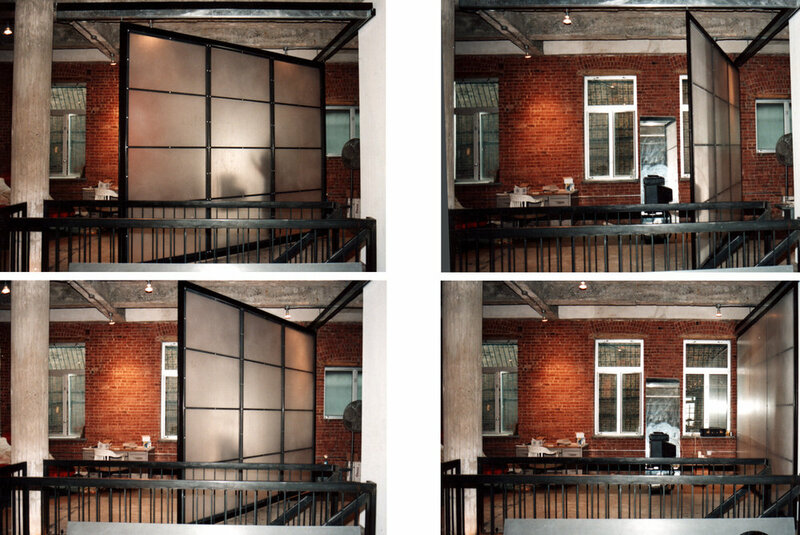 The moving wall at the front of the space is fabricated of masonite and functions as a working wall for hanging art and creating a seperate commercial gallery with direct access to the street and storefront.